Honey Acacia | Infonet Biovision Home. Boran (Sabansa, gurach); Gabra (Sa' pans gurrach); Kamba (Muthiia); Kikuyu (Muthigira); Maasai (Oiti, Oiti orokt); Orma (Habakoles); Pokomo (Musawasa); Pokot (Panyarit); Rendile (Bilahen); Swahili (Kikwata); Taveta (Kezia); Tharaka (Muthigira); Tugen (ngoronet); Turkana (Ebenyo). 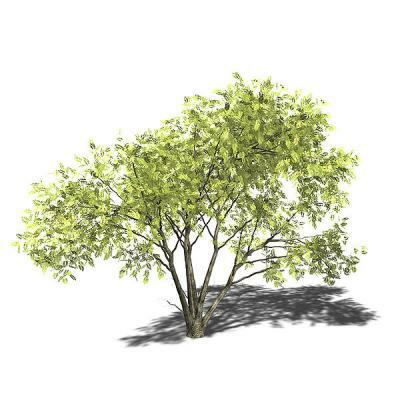 It is a widely distributed acacia found from western Asia, the Middle East and Egypt South to South Africa and Angola. 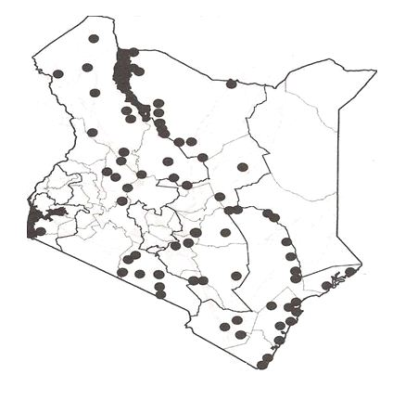 Acacia mellifera is distributed in the arid and semi-arid areas of Kenya as shown in the map. The flowers of this tree are known to produce excellent - quality honey. It is heavily browsed by game and goats where it grows in isolation. It has potential of making impenetrable thickets. Its wood is strong and resistant to termite attacks and so the Maasai find it useful for making their black clubs. It is also a habitat for the edible root parasite, Hydnora abyssinica. It does well in arid and semi-arid areas of Kenya 0 and 1,800 m above sea level. It is drought resistant; tolerates areas with 400 - 900 mm annual rainfall. It thrives in a variety of soils including; gravelly, loam, volcanic and sandy soils. It is found in agro-ecological zones V-VI and in VII along rivers. It may be propagated by direct sowing at site, seedlings or wildings. When used as a fence, trimming is done. It may also be trimmed in pastures, lopped and thinned if too dense. 3. Apiculture: A. mellifera is a good source of nectar. 4. Fuel: The wood is sometimes used for firewood and charcoal but it should not be used for cooking meat, as it leaves a foul taste. 5. Timber: The wood is soft, white and easy to work and is not liable to termite attack. 1. Shade or shelter: it is planted as shelter belts and windbreaks to protect farm habitation, gardens and orchards. 2. Nitrogen fixation; the tree has the nitrogen fixing ability. 3. Soil conservation; due to the susceptibility of the soils in these areas, this tree plays a vital role of protecting it from erosive agents. Pest and disease attacks are not a serious problem to this tree and so no information is available about the same.